Ships today if you order in the next 11 hours 50 minutes. 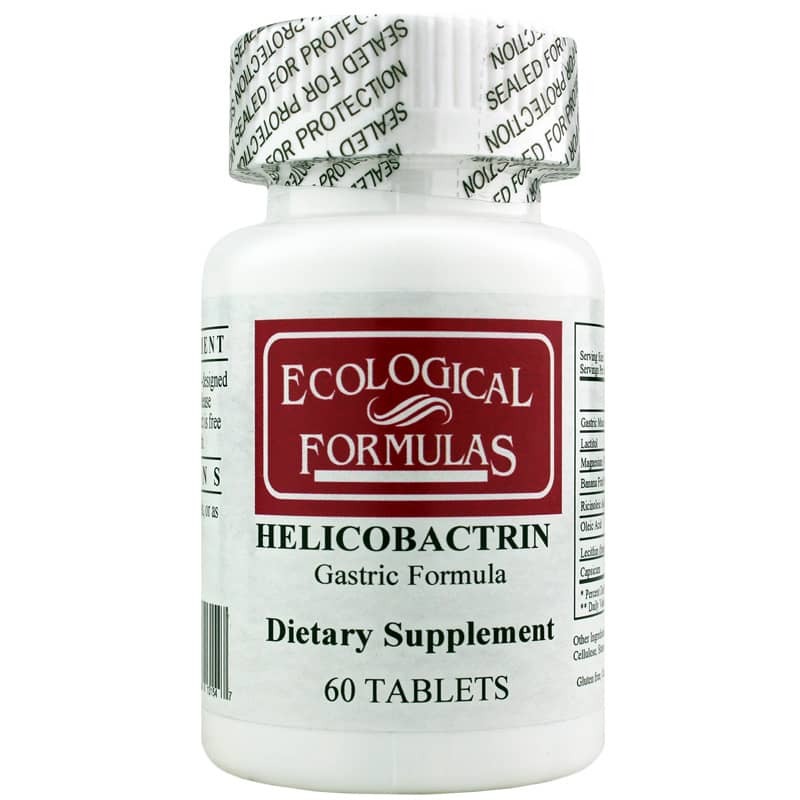 Helicobactrin from Ecological Formulas is a scientifically-designed nutritional supplement with special release properties in the GI tract. This product is free of corn, yeast, wheat, egg and shellfish. Other Ingredients: Microcrystalline Cellulose, Silicon Dioxide, Cellulose, Stearic Acid, Magnesium Stearate, Povidone, Food Glaze. 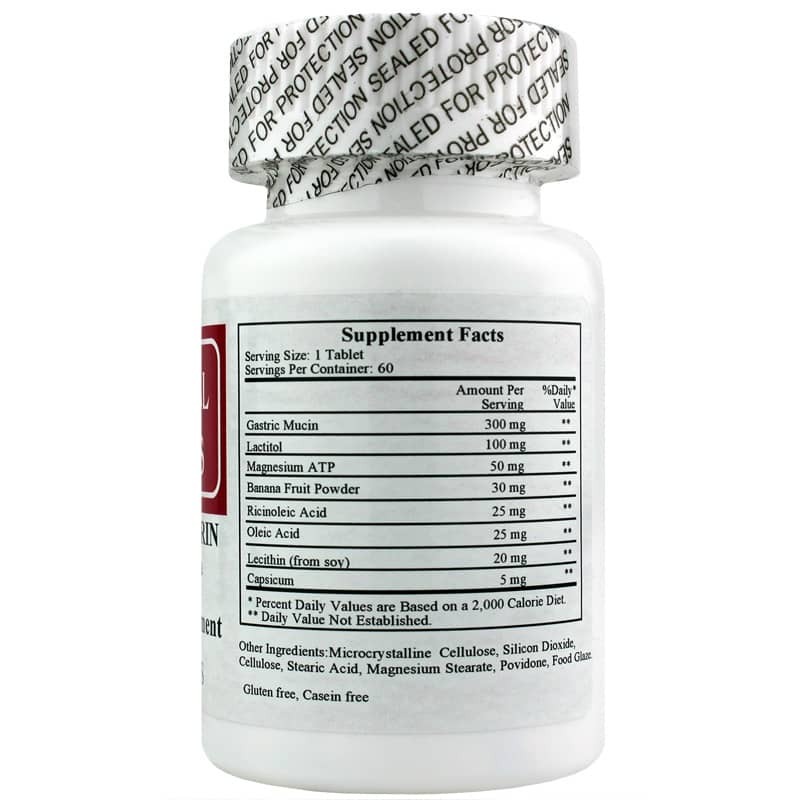 Contains NO: gluten, casein, corn, yeast, wheat, egg, shellfish. 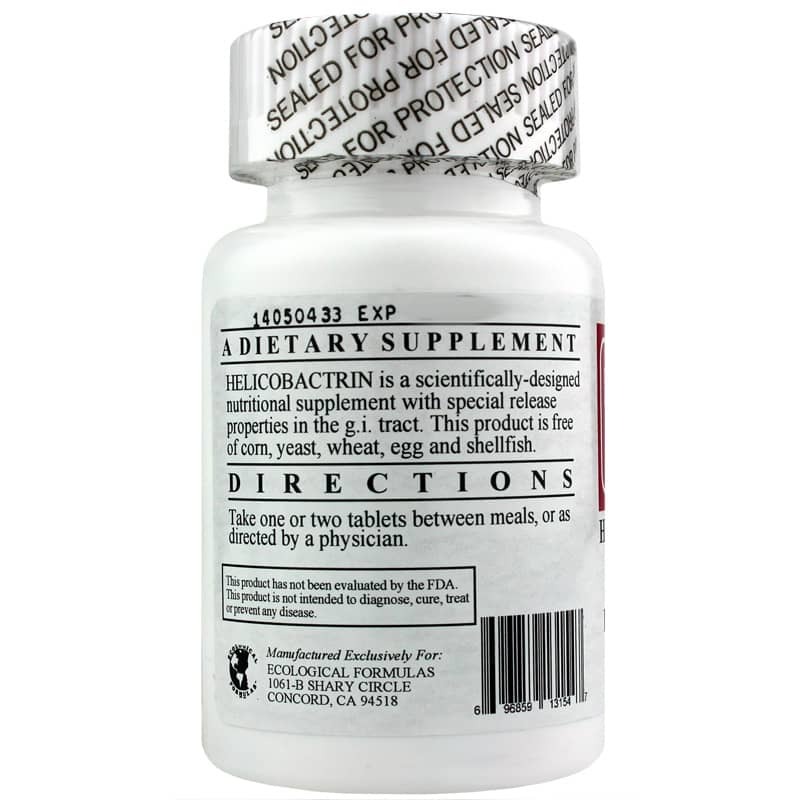 Adults: Take one or two tablets between meals, or as directed by a physician.